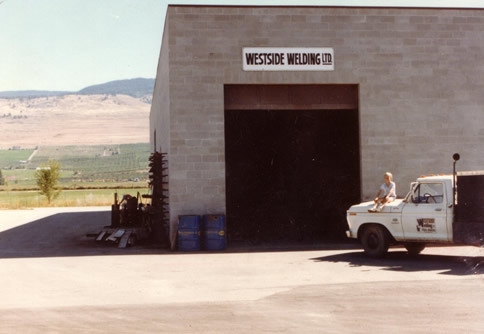 Our Structural Steel Fabrication company was first incorporated in 1981 as Westside Welding in beautiful Kelowna, BC Canada. 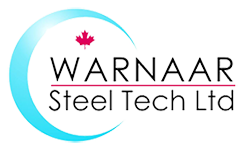 In 1986, we changed our name to Warnaar Steel-Tech Ltd. Over the years we have grown from a small Structural Steel Fabrication shop of 2,500 SqFt of floor space to our current structural steel fabrication production facility of 45,000 SqFt. Warnaar Steel-Tech’s Kelowna, BC Canada location positions us close to all major Western Canadian markets with minimal freight overhead. Our close proximity to Vancouver, BC and the Lower Mainland allows us to access International markets through Canada’s largest shipping hub. This easy access to Western Canadian and US markets makes us a top choice among Project Leaders, Engineers and Developers alike. The Warnaar Steel-Tech family of Steel Fabricators and Erectors have a long tradition of quality workmanship and innovative thinking in all of its endeavors. Old world craftsmanship coupled with the technology of today allows Warnaar Steel-Tech to guarantee quality products with quick delivery in a safe and productive environment.